Metamarkets (see disclosure), a San Francisco–based startup providing a cloud-based big data application, is readying itself for significant business growth by making key personnel changes and spreading its wings into new industries. The big personnel change is that co-founder and CTO Mike Driscoll is making the move to CEO, replacing fellow co-founder David Soloff, who will remain on the board while also taking on an entrepreneur-in-residence role at IA Ventures. The Metamarkets product is a cloud-based big data application previously tuned for helping online media companies analyze the streams of data they generate everyday as customers click their way through the sites. The company uses a specialized version of Hadoop for parallel processing, but it goes much further by adding a custom-built in-memory database for real-time queries and by providing visualization and predictive modeling capabilities. At a base level, Driscoll told me Metamarkets is ideal for a certain class of queries that can’t be done using a relational database — either for time or technical reasons — but that shouldn’t require a Ph.D. to perform. For example, he said, Metamarkets could help someone determine the top content from the past six hours for a certain demographic, easily and quickly, even across a massive data set. Because the platform itself has such broad applicability, Driscoll said Metamarkets is going to start extending it to also provide analytics for other industries, such as gaming and social media. Essentially, he said, it can handle pretty much anything that is online and transaction-heavy if the proper algorithms and analysis methods are in place. Driscoll, who previously founded Dataspora, is joined in his mission to grow Metamarkets’ business by former Oracle (s orcl) executive Charlene Son Rigby and former MarkLogic executive Ken Chestnut, who will lead the company’s sales and marketing efforts. One of the big criticisms about cloud-based big data platforms is that so much data is already stored on-premise, but with so much data now being generated on the web, that concern is becoming less important. 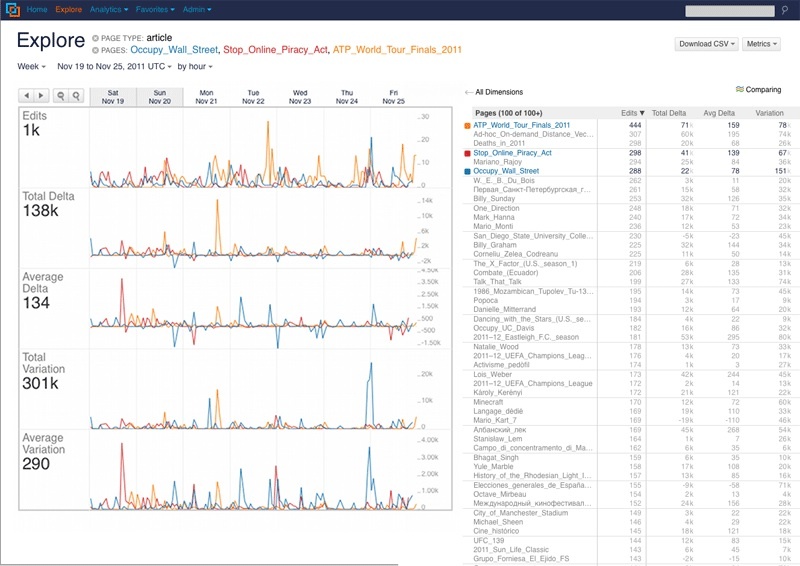 Indeed, Metamarkets isn’t alone in targeting web companies’ analytics needs, and it might get even more competition if rumors of an Amazon Web Services analytics service(s amzn) come to fruition. The company has its Elastic MapReduce processing service already, as well as its own analytic tools and a strategic investment in database startup ParAccel.